“You need to get up, get out, and get something. As a family, we are always super busy. We make it a priority to get out on the weekends and explore all the dope things our city has to offer. Not only do we get quality time as a family but Da Bratt Pack gets to burn off some that no stop everlasting kid energy that I’m pretty sure would make me one rich momma if I could bottle it up and sale it. Well while these adventures are always fun they can sometimes be difficult for King. 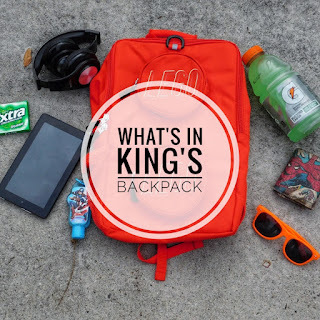 Things like noise, light, weather, large groups, all can be triggers for him so this is where King’s survival kit was born. 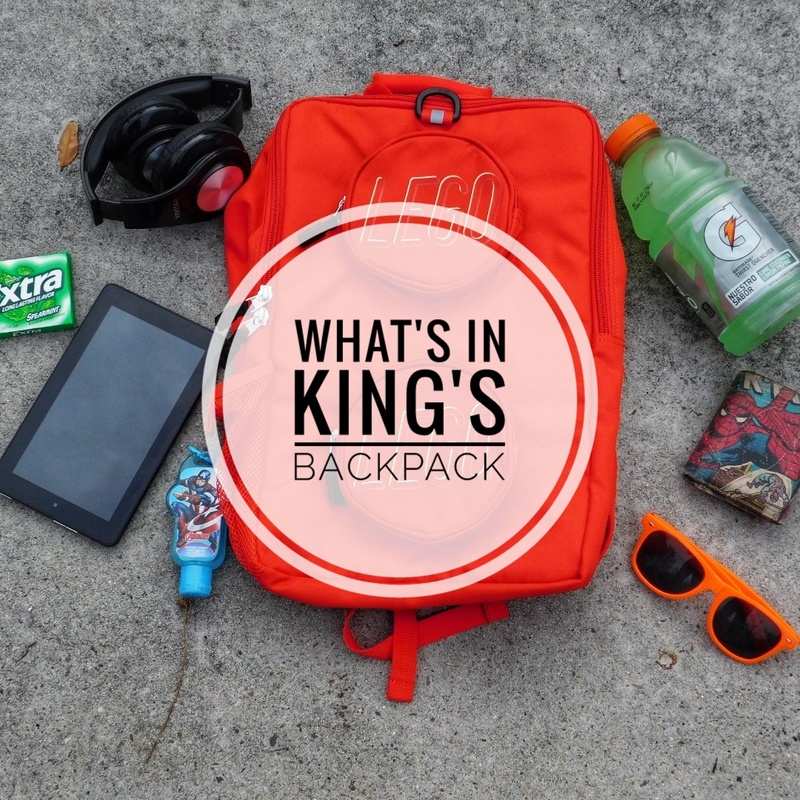 These simple items make things so much easier for him so he can enjoy his time out as well. 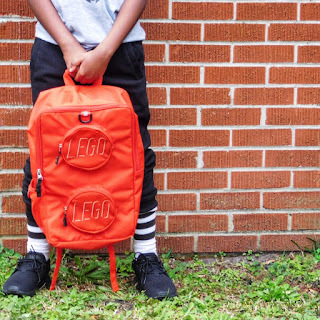 First thing first let's get into this Lego Bag. King is obsessed. 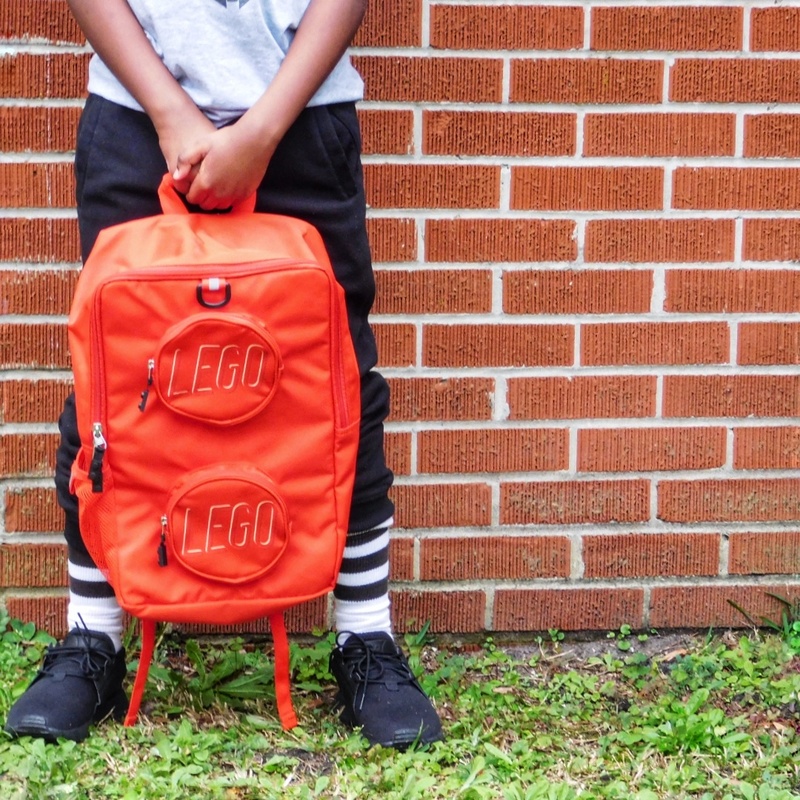 Not only is it his favorite color but the Lego design of the bag is super dope. Did I mention how spacious it is on the inside, there is enough room to fit all his goodies with no problem. The shoulder straps are super comfy and the strap across his chest gives him extra support. It’s the perfect bag for him to carry along with us so mama doesn’t have to. 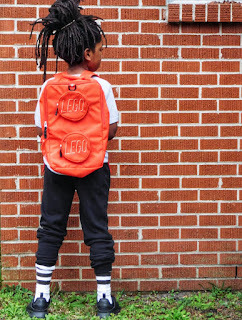 You can find this adorable backpack, lunch bags, and even cinch sacks at www.legobags.com Now to the actual kit itself. 1. Shades- Bright lights are not his jam. If its too sunny or too bright he is extremely uncomfortable and who wants to be anywhere where you don’t even want to open your eyes? 2. Gum- I’ve noticed King uses gum as a stress reliever chewing gum relaxes him so whenever we are out we make sure to have gum. We also use it as a reward because it’s sort of his thing he LOVES gum… if we need him to do something and he doesn't want to do it it’s easier to just bribe the kid…. don't judge we have to be in survival mode sometimes….they outnumber us lol. 5. Drink- ok so you know when you are a kid having a good time and you get thirsty but you may not have anything on you to drink and you have two options continue to play or leave to get drink…well, King will always choose to leave. He doesn’t care if its a full on Minecraft party and we just arrived if he is thirsty he won’t be able to concentrate on anything else other than quenching his thirst. Now imagine the looks on his two non-thirsty sisters faces when King is trying to shut down the fun. 7. Wallet- this is new to the survival kit. He received a wallet from his dad for his big 10th birthday and he carries it with him at all times, fully stocked with gift cards. He says he wants to be prepared in case we pass a game stop when we are out. Preparation is a major key! He feels better knowing he has his comforts, even though he may not even need them, and I feel at ease knowing he is comforted. 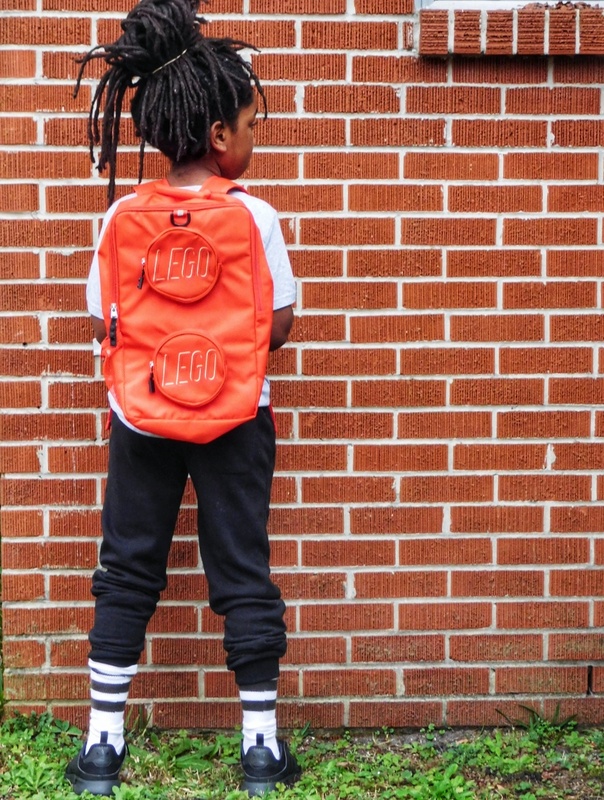 That LEGO bag is the coolest! Love the orange color. I like how each item really serves a purpose for him- especially the hand sanitizer. Great post mama!